Yeh Rishta Kya Kehlata Hai 28th October 2016: Naira hugged her bua dadi. Bua Dadi said that she missed her a lot and stated that she loved her a lot. She then blessed Gayu and Akshara as they kept the fast. Everyone smiled. Naira looked at Gayu and was tensed. Akshara was making food. Rama came there and said that she made things a lot of good. Naira and Gayu met to talk. Rama stated that Gayu was like her and Naira would have to be like her and learn everything. Akshara stated that she did not want to change anyone. Rama said that but one should know how to keep relations. Gayu asked Naira not to think wrong about Kartik. She asked her to help her to get Kartik. Gayu said that she knew that Kartik loved her, but he never said. Naira thought that she had, to tell the truth to Gayu else she would get hurt later. Check: Yeh Rishta Kya Kahlata Hai 27th October 2016. Naira thought to send the voice message to Kartik. By mistake, Rama heard that message, but she could not hear the guy’s name as Gayu came there. Naitik asked where Naira was. He then said to Baisa that Naira was really sensitive at heart. Naira stated that they had, to tell the truth to Gayu and said to Rama that she hope that she could understand the things. Rama stated that she was scared as it would break Gayu’s heart. Share: Happy Diwali 2016 Quotes. Naira stated that she too was scared, but they had, to tell the truth. Rama hugged her. Naira cried. Naira thanked her and said that she was best to handle Gayu. Naira went to Gayu and asked her to have food, but she denied and stated that she would not eat anything till she talked to Kartik. Share: Happy Diwali 2016 Images. Naira said that there was no use to keep the fast when one’s health is not good. Gayu said that she would not understand, but things mattered to her. She then got dizzy and was to fell on the floor. Naira made her sit and asked her to have the food. Naira got angry when Gayu was resisting not eating the food. Check: Udaan 28 Oct. 2016. Baisa came there and got angry seeing Naira talking to Gayu like that. She asked Naira to learn manners as for how to talk to elders. Akshara then spoke for Naira and said that she was different but not wrong. Bhabhi Maa then came and told Akshara that Gayu was not eating anything. 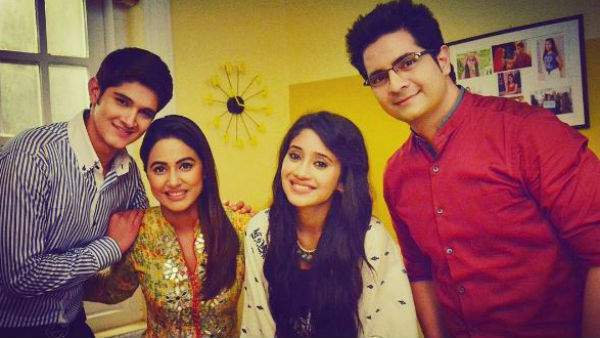 Naitik said that she might be missing Rashmi and even Rashmi’s birthday was coming close. Akshara stated that she was weak at the hurt and not could manage when she missed Rashmi. Akshara stated that they would have to make her strong. Bhabhi Maa stated that they should try to understand her situation and not change her.